3 Beds 2 / 0 Baths 1,220 Sq. ft. 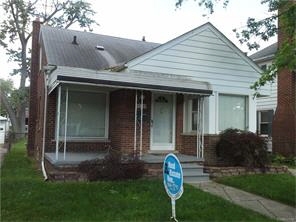 Description: This brick and vinyl bungalow awaits a new owner to make it your own. The laminate flooring welcomes you as you enter the mirrored living room. Off the living room is the cozy formal dining room with open shelf storage and inset glass tile as an artistic accent. The kitchen, with merrilat cabinets includes the stove, fridge and dw. Hardwood floors in all 3 bedrooms. Basement sports a working hot tub, half bath and great area for entertainment.Per owner, great neighbors!